Click here to view the dates. 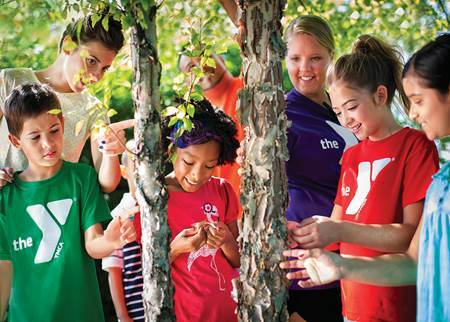 Greensburg YMCA: offers a more traditional camp feel with outdoor activities, daily swimming, local excursions, theme related crafts, educational projects, character development and weekly field trips. West Hempfield Elementary (WHE): will incorporate experiments, outdoor play, group games, character development, and arts and crafts all based on a weekly theme. 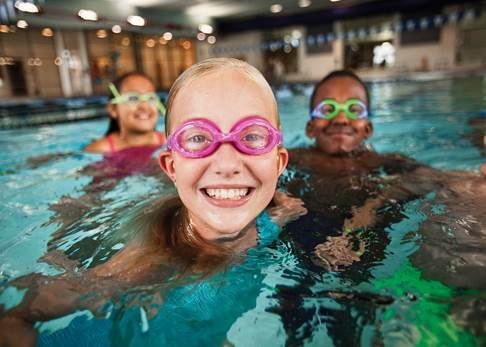 Campers will swim once a week at the Greensburg YMCA and enjoy weekly field trips. 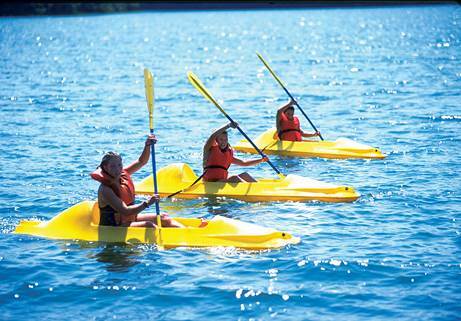 Unity Township: offers kayaking, canoeing, fishing, hiking, theme related crafts, weekly swimming at the Greensburg YMCA, character development and weekly field trips. Do you have a child that eats, sleeps and breathes sports? 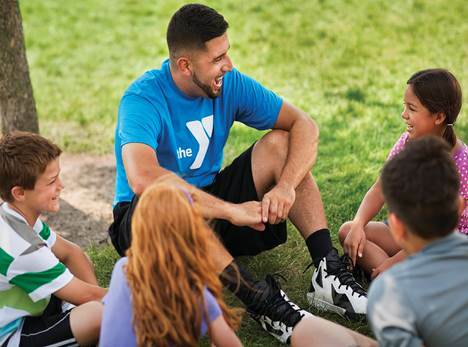 The Greensburg YMCA is the answer for all your sport camp needs! Maxwell Elementary Sports Camp Location: Our Sports Camps features drills and skill development, daily swimming, sport specific games, a focus on positive sportsmanship, character development and weekly field trips. Adventure Camp children from the Greensburg YMCA location will have the opportunity to swim up to four times a week. Adventure and Sports Camp children from the Unity Township, West Hempfield Elementary and Maxwell Elementary locations will be bussed once a week to the Youngwood Park and Pool (weather permitting) or Greensburg YMCA for swimming. Adventure Camp and Sports Camp is for children whom have completed Kindergarten through completed 8th grade. If you have a child who has not attended kindergarten yet, please check out the Early Childhood Learning Center for summer enrollment. *On the specific sport week, campers will be working together in their age groups as well as with other age groups based on skill levels. Full Time is 4-5 days a week. Part Time is 1-3 days per week. Regular camp hours are 9:00 am to 3:30 pm. Drop off is 8:45 am to 9:00 am. Pick up is 3:30 pm to 3:45 pm. Extended camp drop off hours are 6:45 am to 9:00 am. Pick up hours are 3:30 pm to 6:00 pm. Non-members may purchase a Three Month Youth Membership for $95.00. There is a $42.00 Registration Fee per child that must be paid at the time of enrollment to camp. The sibling discount applies to Registration Fees. All payments will be drafted on Monday for the following week of care. If your enrollment packet is not received by noon 3 business days prior, for enrollment in the following week of camp, you will incur a $25 Late Enrollment Fee. ELRC Funding is accepted for Adventure Camp held at the Greensburg YMCA location as well as the West Hempfield (WHE) location, as well as the Maxwell Sports Camp location. ELRC Funding IS NOT accepted at the Unity Township location at this time (status pending). YMCA Financial Assistance is accepted for all four locations. Scroll down for the Financial Assistance application and policies related to it. 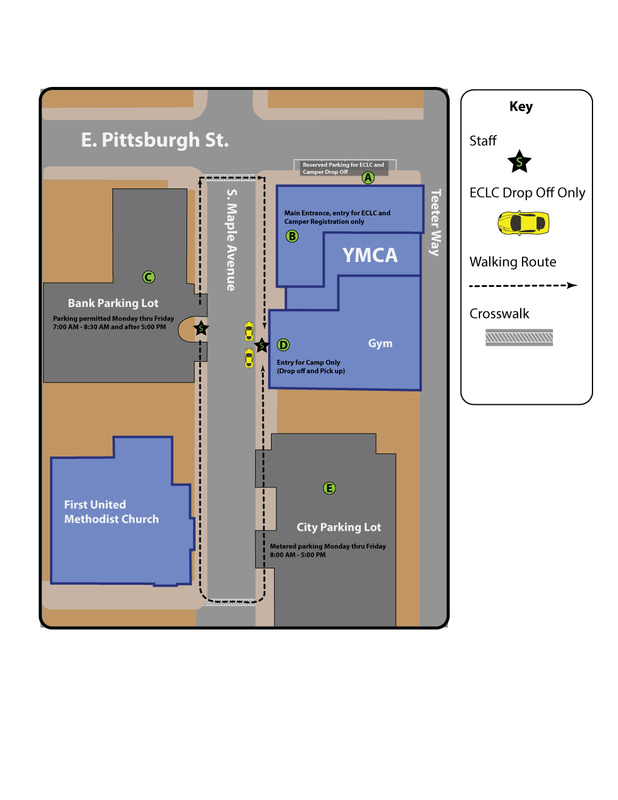 Parking Policy Change: The bank parking lot across the street from the YMCA is available only until 8:30 AM and after 5:00 PM. Thank you. Extended camp services are available for Adventure Camp, and Sports Camp. Extended camp hours will be held from 6:45 am-9:00 am & 3:30 pm-6:00 pm. In order to use these hours, you must have enrolled in an extended camp program, either full time or part time. 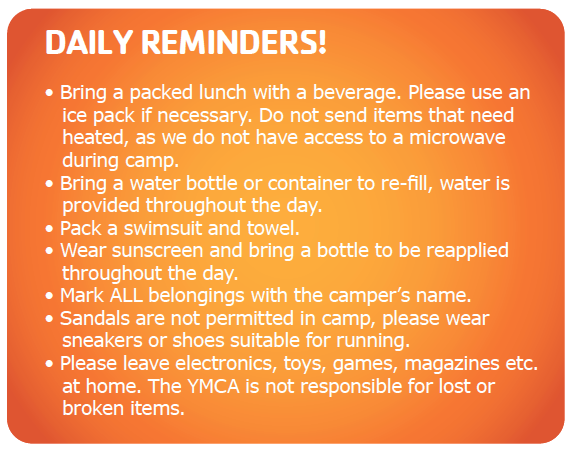 Drop-off and Pick-Up for Adventure Camp and Sports Camp will be held in the gymnasium of the YMCA. Each child must be walked in by a guardian at least 18 years of age, and signed in and out of camp daily by a guardian. Current photo identification is required of each adult at Pick-Up time. Please notify the Camp Coordinator and Lead Opening Staff if anyone other than those adults listed on the Emergency Contact Form will be picking up your child. Our Unity Township Location will be held at the Municipal building. This is located at 154 Beatty County Road, Latrobe, PA 15650. Drop-off and Pick-Up for Adventure Camp will be at the pavilion. In the event of inclement weather we will re-locate to the classroom space in the municipal building. Each child must be walked in by a guardian at least 18 years of age, and signed in and out of camp daily by a guardian. Current photo identification is required of each adult at pick-up time. Please notify the Director of School Age Services and Lead Opening Staff if anyone other than those adults listed on the Emergency Contact Form will be picking up your child. Our West Hempfield Camp will be located in the cafeteria of West Hempfield Elementary School at 469 Wendel Road, Irwin, PA 15642. Drop-off and Pick-up will be at the cafeteria. Each child must be walked in by a guardian at least 18 years of age, and signed in and out of camp daily by a guardian. Current photo identification is required of each adult at pick-up time. Please notify the Director of School Age Services and Lead Opening Staff if anyone other than those adults listed on the Emergency Contact Form will be picking up your child. Our Maxwell Elementary Sports Camp will be located in the gymnasium of Maxwell Elementary School at 1101 Old Salem Road, Greensburg, PA 15601. Drop-off and pick-up will be at the gymnasium. Each child must be walked in by a guardian at least 18 years of age, and signed in and out of camp daily by a guardian. Current photo identification is required of each adult at pick-up time. Please notify the Director of School Age Services and Lead Opening Staff if anyone other than those adults listed on the Emergency Contact Form will be picking up your child. The success of any camp is a direct reflection of the quality of the camp counselors and coaches. Our individuals are selected based on their experience, education, attitude and desire to work with children. Each counselor and coach receives training in First Aid, CPR/AED, YMCA Child Abuse Prevention, Mandated Reporter, Character Development and Water Safety. Counselors follow positive reinforcement guidelines and focus on the use of the Character Development Values of Honesty, Caring, Respect, and Responsibility. In the event of inclement weather please refer to our Inclement Weather Policy. The most effective form of communication in regards to inclement weather is through Remind text alerts. Please follow the link below to the instructions. All participants in Adventure Camp and Sports Camp will be tested to determine their swimming ability prior to entering the pool. This testing includes swimming crawl stroke with rotary breathing for 40 feet, treading water for 60 seconds in the deep end, and swimming on their back for 40 feet. Participants that fail the test will be required to swim in the shallow end only. This test will be performed at the YMCA Pool. The Greensburg YMCA strives to never turn any child away due to the families’ inability to pay for programming. With that in mind we will accept two forms of assistance in defraying the costs of camp. One way is through the YMCA Annual Support Campaign. The YMCA is able to grant scholarships to families in need due to the generosity of local businesses and individuals who donate monies to the campaign. We encourage those who may not be able to afford camp services on their own to complete a Financial Assistance Application and submit it to the Welcome Center of the YMCA. Please allow up to four weeks for processing. Additionally both Adventure Camp and Sports Camp held at the Greensburg YMCA location and Maxwell Elementary location accept payment from Early Learning Resource Center (ELRC). The Unity Township and West Hempfield (WHE) camp locations do not accept ELRC (status pending), but does accept YMCA Financial Assistance. Families should contact ELRC of Westmoreland County to inquire if they are qualified (724-836-4580).